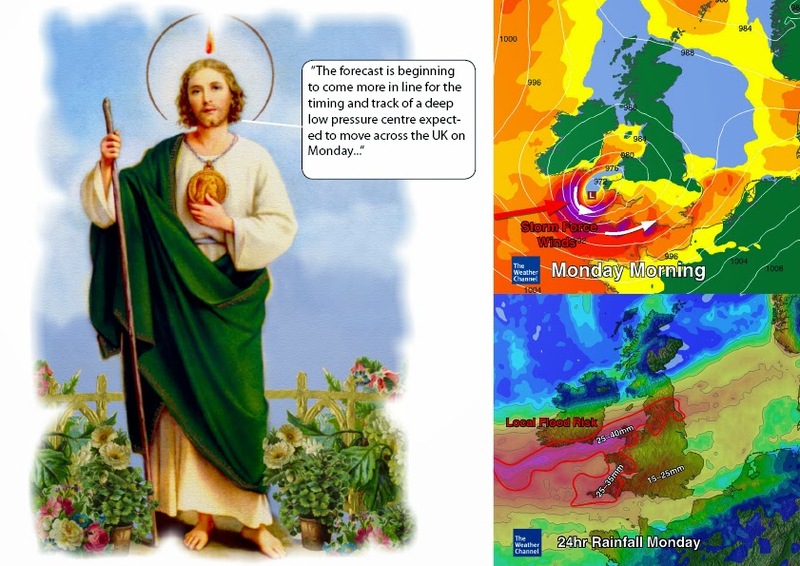 St Jude...not to be confused with Michael Fish. After this weather report, Britain was hit by its biggest storm of the 20th century. Seriously, though, this could be a big old storm. Perhaps we should pray to him to ask his intercession that its devastation be mitigated by his prayers.